It was exciting to participate in the Patra Passage Project this year. Lynda Lowe is to be celebrated for creating the inclusive and soulful exchange, which resulted in an exhibition at the Museum of Glass, Tacoma, WA. The project raised $20,000 in funds for Save the Children and $20,000 for the Museum of Glass, as well as expanding the creative and introspective horizons for hundreds of people. 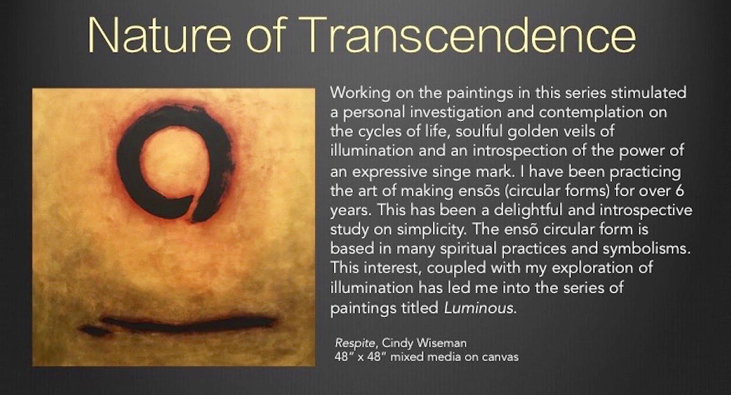 Cindy Wiseman lives in Fayetteville, Arkansas where she teaches Art and Art History in the Department of Art at the University of Arkansas. 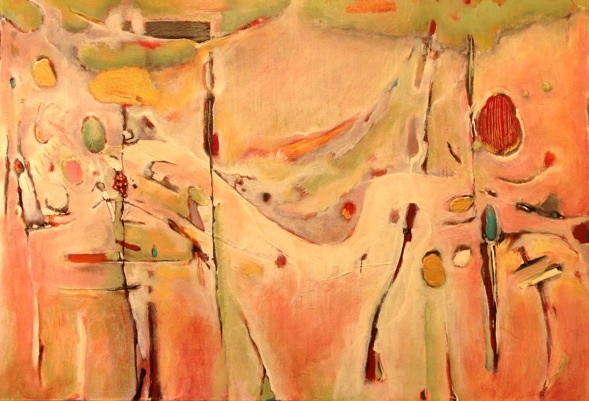 Wiseman received an MFA in Painting from New Mexico State University (2008) and a BFA in Painting at the University of Arkansas, Fayetteville (2005). 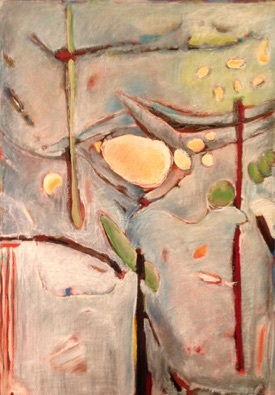 Collection of the Arkansas Arts Council, purchase award from Arkansas Arts Council’s Small Works on Paper, toured with the exhibition in 2014. Juror: Mary Kennedy, CEO of the Mid-America Arts Alliance. 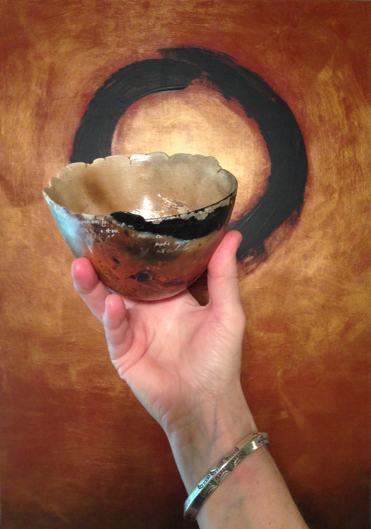 Wiseman, Patra Passage Project photograph of Patra bowl #26, featuring Wiseman’s hand and her mixed-media painting Cantus shown in the background. 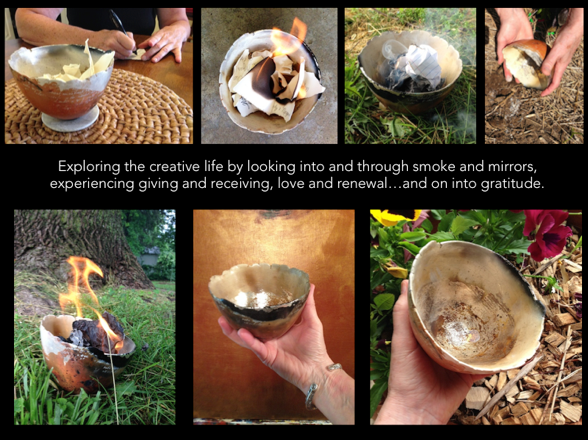 Patra Passage Bowl #26, dubbed Genii in reference to the creative muse within us all, stimulated a lot of contemplation, activity and interaction within the community in the Arkansas Ozarks!